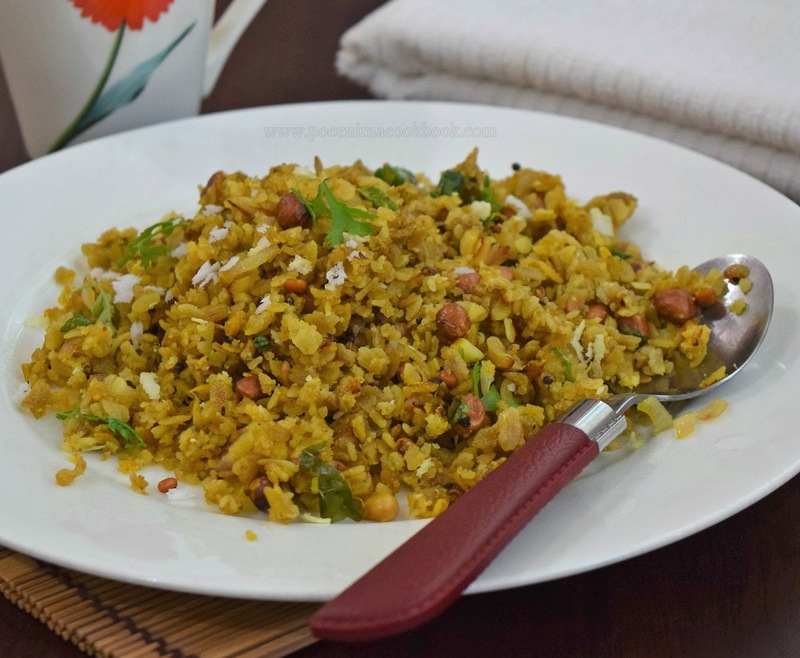 Rice flakes / Aval / poha is a flattened or beaten rice; which is commonly used in many Indian dishes. Though white Rice flakes is commonly used in our day-to-day cooking, I prefer to use red rice flakes (made from red rice) for its nutritive value since it is high in fiber and iron content comparatively. 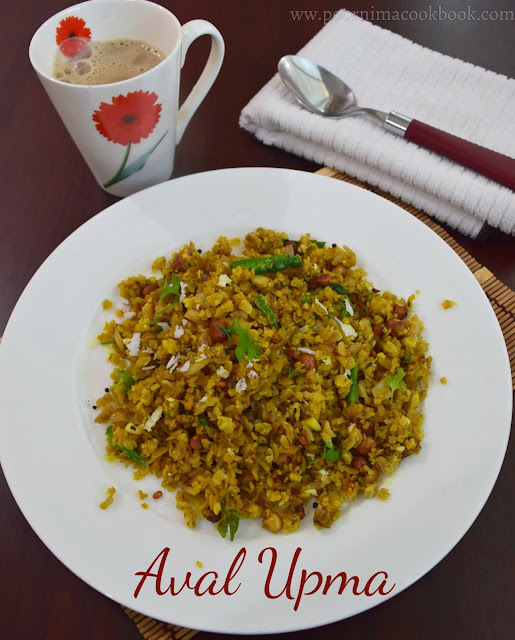 Though I have already posted kesari, payasam / kheer, ladoo and snack recipes using red rice flakes, here is an easy to prepare and simple south Indian breakfast recipe (Aval Upma) using red rice flakes. Wash the Rice flakes to remove impurities and drain completely. Keep aside for 10 minutes. 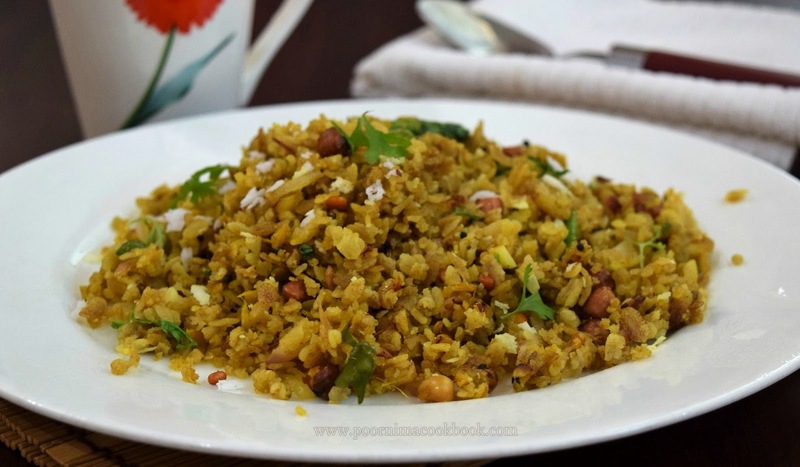 Once the dhal becomes golden brown, add roasted groundnuts, grated ginger, green chillies and onion. Saute well till the onion becomes translucent. Perfect for breakfast or snack, so yummy.